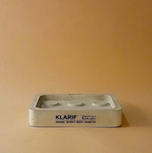 – A grey polished concrete vessel. – Debossed logo enhanced with black ink. 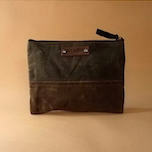 Most durable waxed canvas travel/toiletry bag: unisex.